With the onset of colder weather, our thoughts naturally turn to the approach of winter. Unfortunately, we tend to be more susceptible to nasty bugs at this time of year and through the winter months. However, with a few dietary ‘tweaks’ you can winter-proof your diet to keep your body in good health all season long. 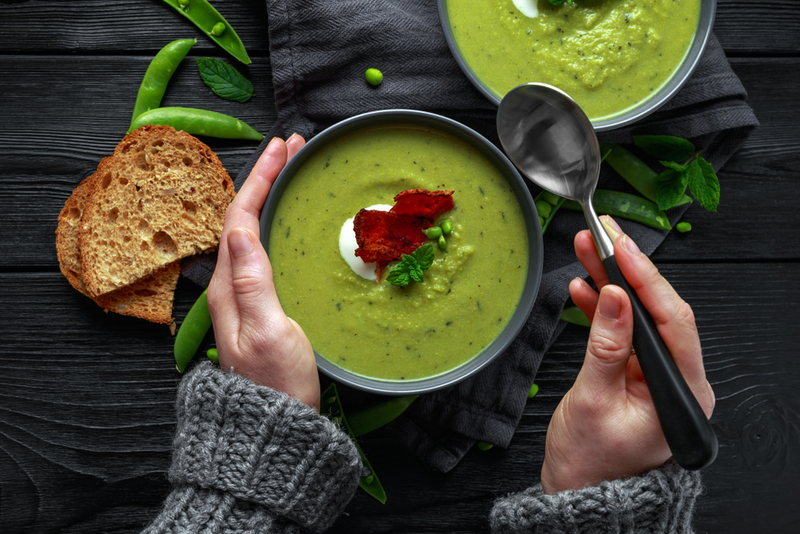 Clinical nutritionist Suzie Sawyer shares her tips on what’s good to eat and what’s best to ditch during the winter months. Most people enjoy eating citrus fruits such as oranges, grapefruits and tangerines, but avoid lemons because of their sharp flavour. However, their high vitamin C content can really help to support the immune system and they’re great at encouraging the liver to detox. There are so many ways they can be incorporated into the daily diet; squeezed over grilled fish, added to salad dressings, drizzled over a morning pancake or added to a warming drink with ginger and honey. And for those with aches and pains, lemons also help balance the body’s natural alkalinity, so all the joints move a little smoother. Spinach is obviously a green-leafy vegetable whose virtues are often extoled. However unlike other similar vegetables, spinach is high in oxalic acid which interferes with the absorption of certain minerals: oxalates tend to deplete iron and calcium, both of which are essential through the winter months to support the immune system and the muscles, joints and bones. But the good news is if you cook spinach this breaks down the oxalic acid, resulting in loss of fewer nutrients – so always go for steamed or sautéed spinach, especially during the winter months. 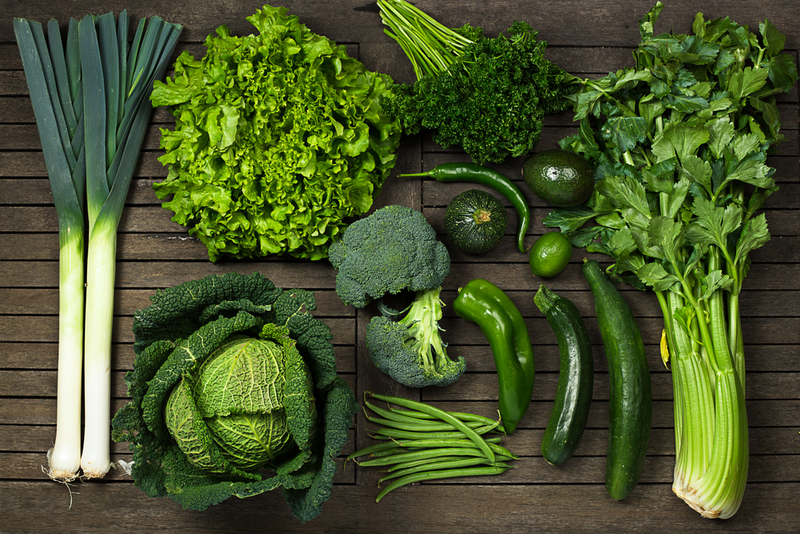 There are of course also plenty of other green vegetables to choose from such as broccoli, kale cauliflower and sprouts, all of which should be readily eaten during the winter months for their very dense nutrient content. When the temperature drops, we naturally tend to crave more sugary and carbohydrate-based foods. Clearly, we need to be mindful of this. However, molasses, which can be found in health foods stores, are a really good way of adding some sweetness to dishes. They actually have quite a strong flavour, so not too much is needed but they’re packed with the mineral iron to help keep energy levels up. Molasses can be used in sweet or savoury dishes; think pulled pork, lamb shank, game pies or chicken meals, in pancakes, flapjacks, or sticky toffee pudding (for a real treat). Sugar is everywhere – often in foods you wouldn’t expect – and it is important to remember that it contains no nutrients at all. In fact, it may even impair absorption of essential nutrients. During winter-time the body is often under attack from infections, therefore the immune system needs to be in good shape. So it makes sense to take in good calories from health-giving foods rather than empty ones found in cakes, biscuits and pastries. It’s good to get into the habit of reading labels; many processed foods, cereals and those labelled ‘low-fat’ have much more sugar in than we realise. Garlic is a super food! It works naturally to fight invading viruses, bacteria and fungi. Therefore, it makes sense to include it in dishes as much as possible. Plus, of course it’s totally delicious and versatile. Garlic can be added to almost any savoury dish but it works especially well in soups, stews, lamb dishes, potato dauphinoise and stir fries. The more you eat, the better your immune system will cope during the winter months. Dairy products including milk, cream, cheese and yoghurt are not great for your respiratory system as they tend to encourage the production of mucous and nasal congestion, generally. With the threat of colds ever present during the winter months, it makes sense to reduce dairy intake where possible. 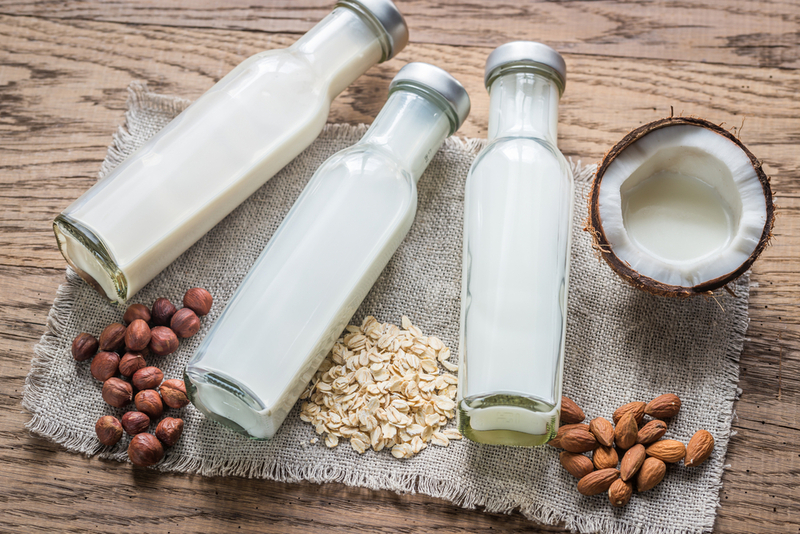 There are so many dairy alternatives in the form of nut milks, oat, rice and soya. Why not try out a variety and see what works for you? Plus, you don’t need to miss out on yoghurt as there’s plenty of dairy-free ones readily available in the supermarkets. And if you’re missing some spread on your sandwiches, then why not use some hummus for a much healthier and tastier option? So with a few easy dietary tweaks you can prepare your body to fight the oncoming bugs and be winter-ready! With the dreaded cold season rapidly approaching, now is the time to take steps to keep them at bay. What’s on your plate at each meal time can have a really positive effect in boosting the immune system and improving your health all winter long. And not forgetting that each meal time is an opportunity for including as many nutrients as possible for all-round great health. Clinical Nutritionist Suzie Sawyer shares her top tips for making each meal an immune-booster. In so many ways, breakfast is the most important meal of the day. You’ve fasted through the night and the body is now looking for a really nutritious and energy-boosting start to the day. Moreover, eating a nutrient-rich breakfast provides the perfect opportunity to get your immune defences in great shape. Try to include some dark berry fruits into your breakfast: many of the secrets to the health benefits of these little berries actually lie in their beautiful, dark colours. Berry fruits are rich in plant compounds known as anthocyanins (blueberries especially so), which are high in immune-boosting antioxidants, that help protect the body against infections. 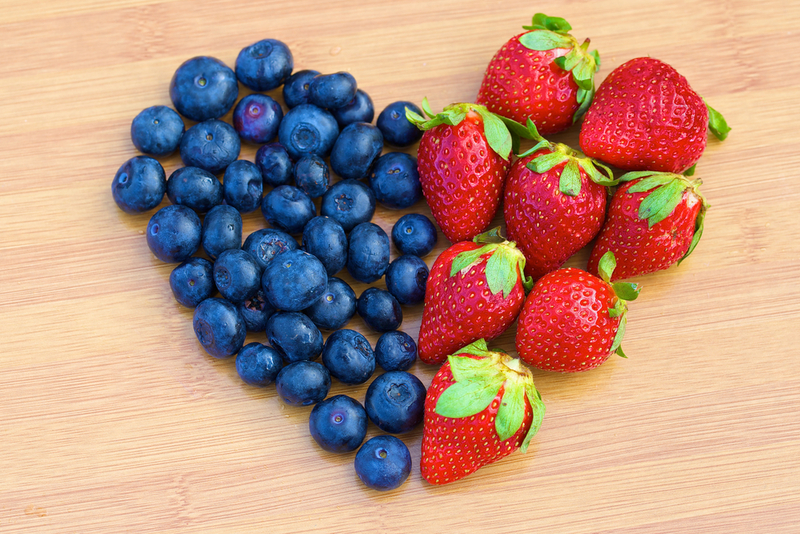 Blueberries, cherries, strawberries and blackberries are also packed with vitamin C, one of our key defenders. These fruits are coming out of season now, although they’re still readily available in supermarkets. However, use them frozen in a berry smoothie with banana and avocado and you’ve got yourself one of the best starts to the day. Clearly you’ll need something more filling as well, so you can also add these fruits as a topper to porridge or other oat-based cereals. 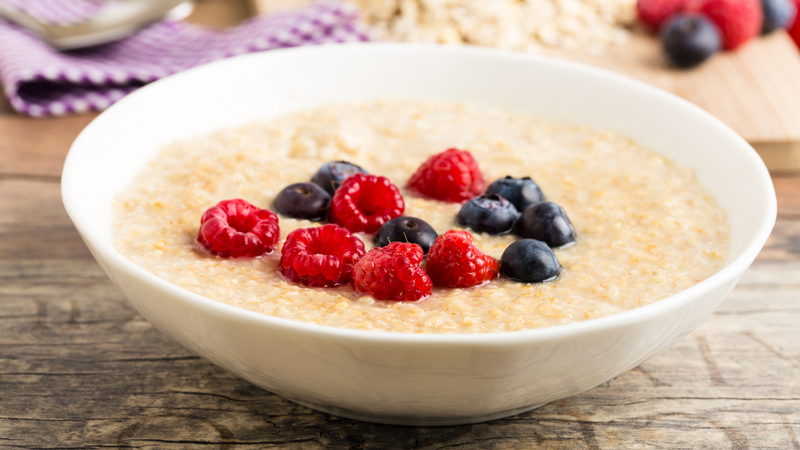 Oats are full of beta-glucans which help support the immune system, so what better start to the day during the winter than with a warming bowl of porridge topped with berries to see you through till lunchtime. For those on the run at breakfast-time, a pot of live natural yoghurt, which is full of immune-boosting friendly bacteria, also makes a great option. Make sure you add some berries for that ‘hit’ of antioxidants and vitamin C! 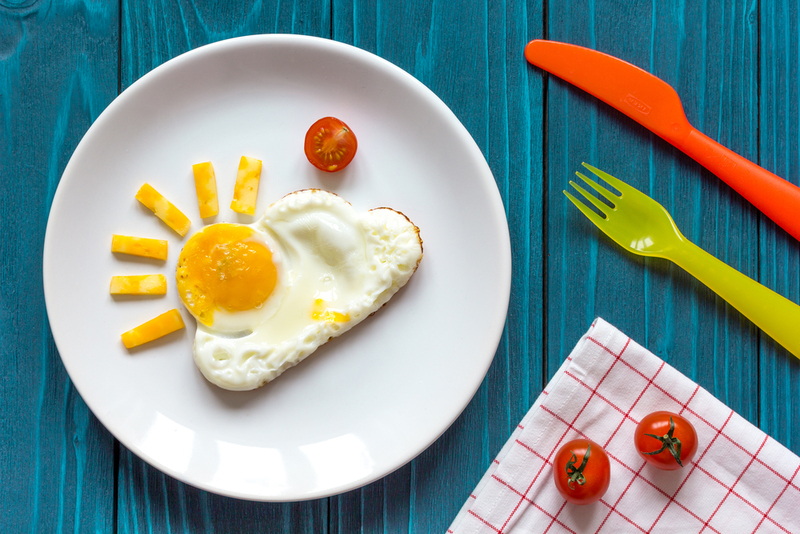 Even though you’ve had a nutritionally-rich breakfast, by lunchtime your energy levels will naturally be flagging; the body needs re-fuelling! It’s really important to include protein at lunch for a number of reasons. Protein is needed for the body to produce immunoglobulins, a key part of immune function that helps to fight invasion of nasty bugs. Moreover, it will help stem the common 3 p.m. energy slump. So which proteins are best to eat? 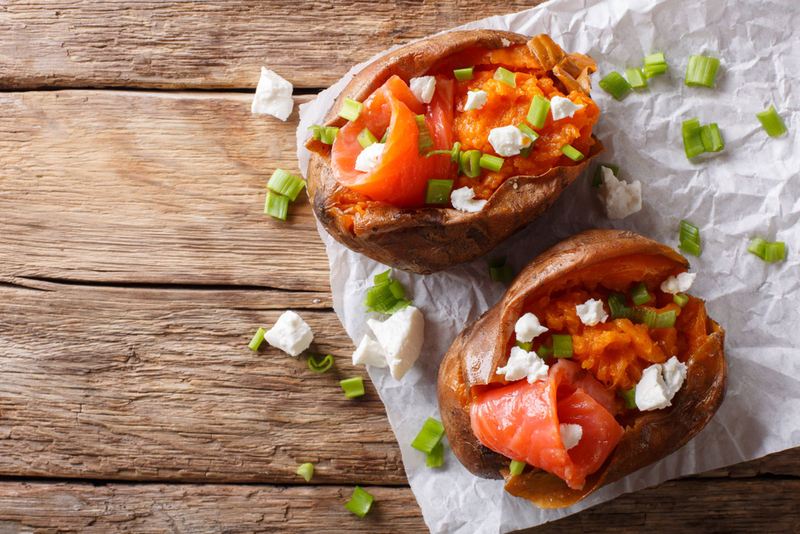 Oily fish such as salmon or mackerel, which are packed with healthy essential omega-3s, are great as a topper on a jacket sweet potato. Loaded with beta-carotene, sweet potatoes will also provide great support for the immune system. If you’re vegetarian or vegan, or just fancy a change, then tempeh or tofu with some noodles or wholegrain brown rice also work really well. Tempeh is slightly higher in protein than tofu, plus it’s got a naturally nutty taste so tends to be more flavoursome. The mineral zinc is essential for a healthy immune system and is often lacking in diets that are high in white, refined foods. 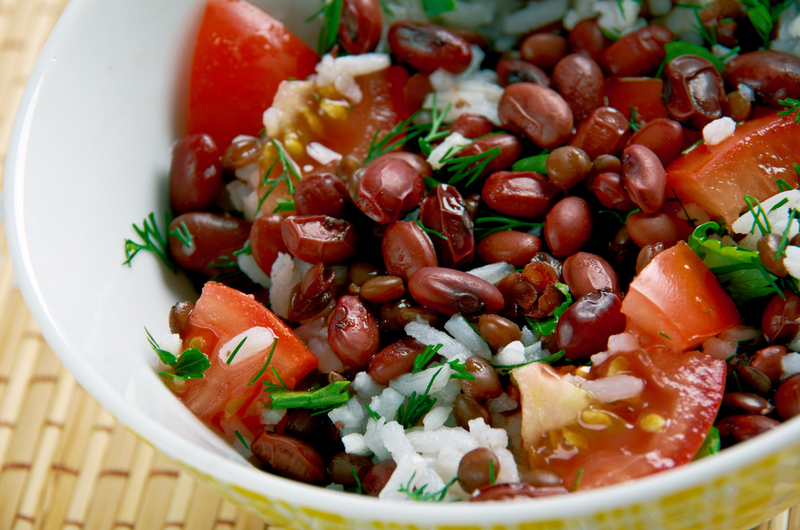 All types of beans contain good levels of zinc and they also make great lunchtime staples in a wrap, salad or soup. Chickpeas are another good alternative, so adding some hummus and wholemeal pitta bread to your lunchtime menu, or having some falafels, are other useful options. After a long, hard day, an evening meal can often be a rushed affair which can lead to less nutrients being eaten. However, you don’t need to spend hours in the kitchen or a long time planning nutritious, immune-boosting meals. Stir fries are always good because they’re quick and easy to prepare and you can use whatever happens to be in the fridge at the time. 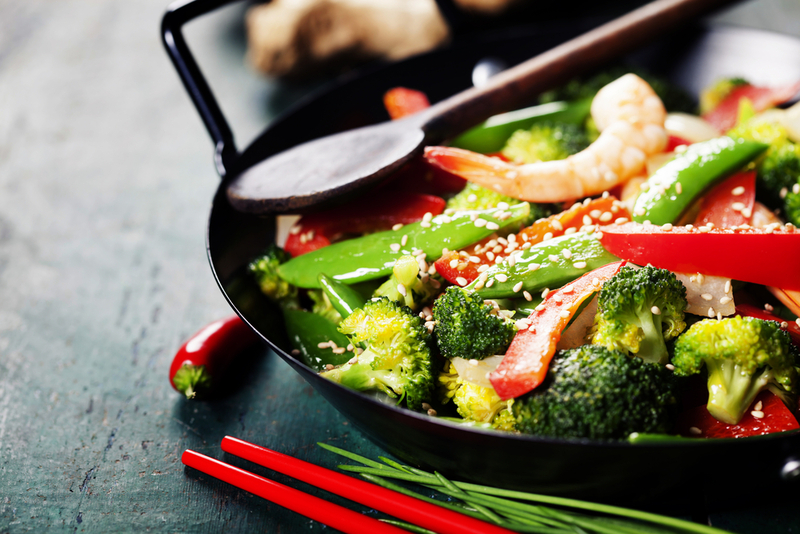 However, certain herbs such as garlic and ginger are real immune boosters and so can be included in lots of different dishes, especially stir fries, alongside your protein source and other vegetables. Alternatively, why not make a warming and filling super soup? 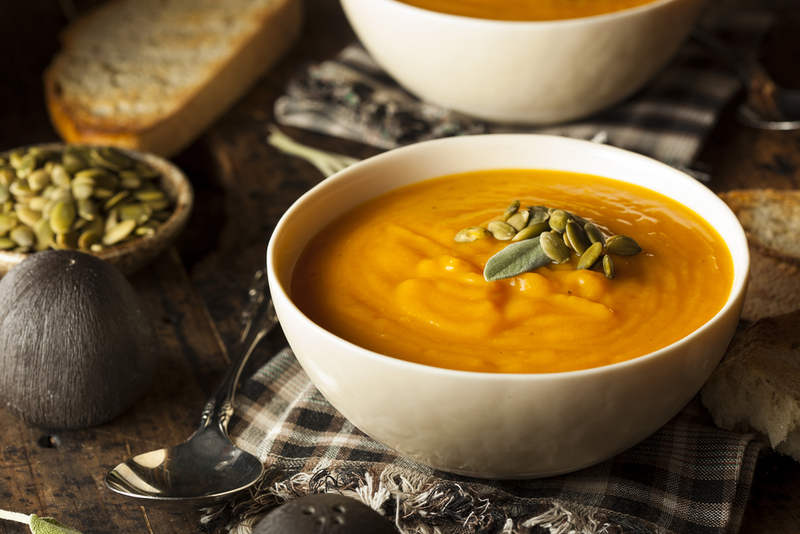 Butternut squash (full of beta-carotene which the body converts into Vitamin A as needed), lentils (high in zinc) and coconut (great for the immune system) together provide a real immunity hit. Plus, you can add other ingredients such as fish, chicken or beans for a more filling option. The best thing is that you can make this in advance and it will last a few days so you’ll have a healthy meal ready whenever energy levels are flagging. Try to also include as many vegetables as possible into your evening meal for their vitamin C content. Red peppers, for example, are high in vitamin C, and are great added to a tray of roasted vegetables, which make a great accompaniment to any protein source. Other great immune-boosting roasting vegetables include sweet potatoes, turnips, onions, tomatoes and courgettes. So include these immune-boosting foods at every mealtime this winter and keep those colds at bay. Autumn foodie favourites: what’s in season right now? Whilst it can be a bit confusing as to what’s in season when so much of our food is available year-round, it’s always best to try to ‘eat with the seasons’. So what does October bring us? Clinical Nutritionist, Suzie Sawyer, shares five great foods to eat this month. Cranberries are traditionally associated with Christmas as an accompaniment to turkey. However, they’re at their best right now and that continues through to December. They used to be known as ‘bouncing berries’ as the fresh ones literally do! Most importantly, there’s a wealth of ways you can use them in the daily diet. 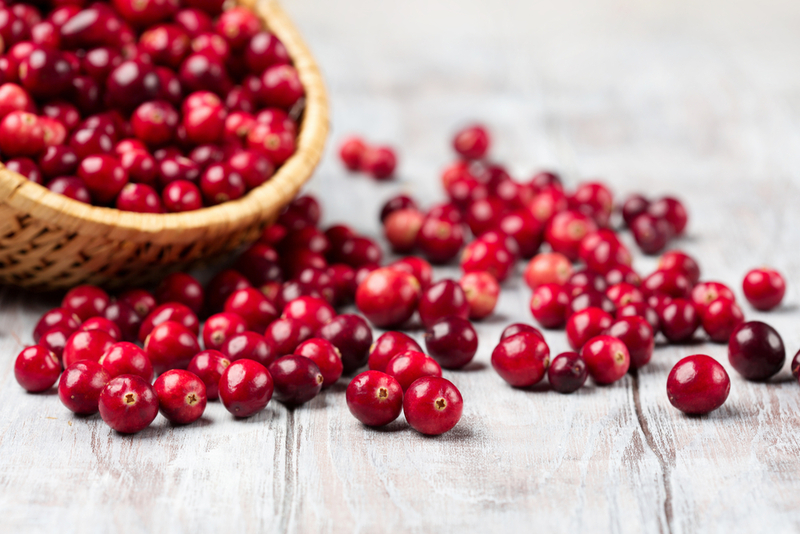 Cranberries are packed with plenty of immune-boosting nutrients to help you through the upcoming ‘bug’ season. They’re loaded with vitamin C, iron and plenty of antioxidants. Plus, they’ve also been proven to help fight urinary tract infections. However, it’s recommended to drink cranberry juice (look for low sugar ones), rather than the whole berries if you’re prone to suffering. Cranberries are great in a sauce with roasted duck, can be used dried in breakfast muesli, and baked in muffins. 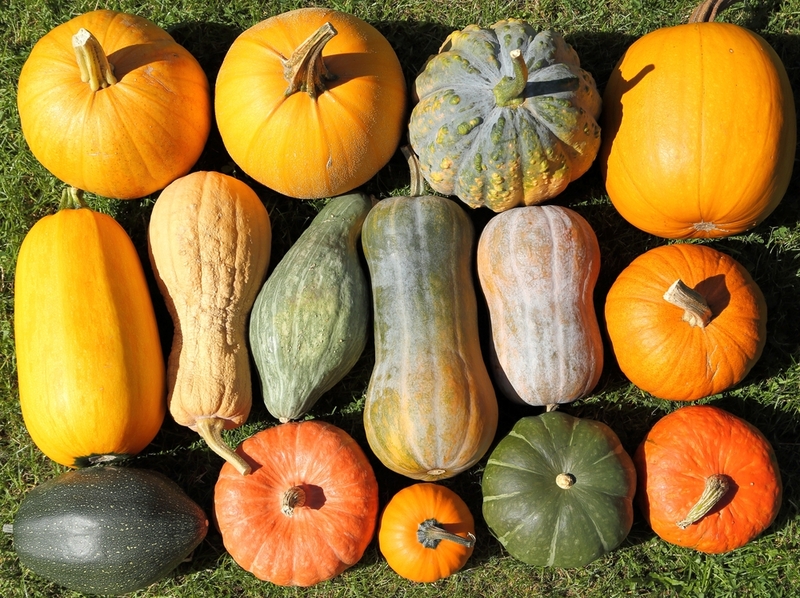 The month of October can never pass without mentioning pumpkins! The most famous of winter squashes, they are packed with the powerful antioxidant beta-carotene which the body turns into immune-boosting vitamin A as needed. Pumpkin is delicious roasted; in fact it’s probably easiest cooked this way as the skin can stay on. Preparing pumpkins can sometimes be slightly challenging although well worth it as they are delicious in stews, soups or mashed as a vegetable side. The seeds are highly nutritious and can also be lightly roasted with a little olive oil and salt for a healthy snack. 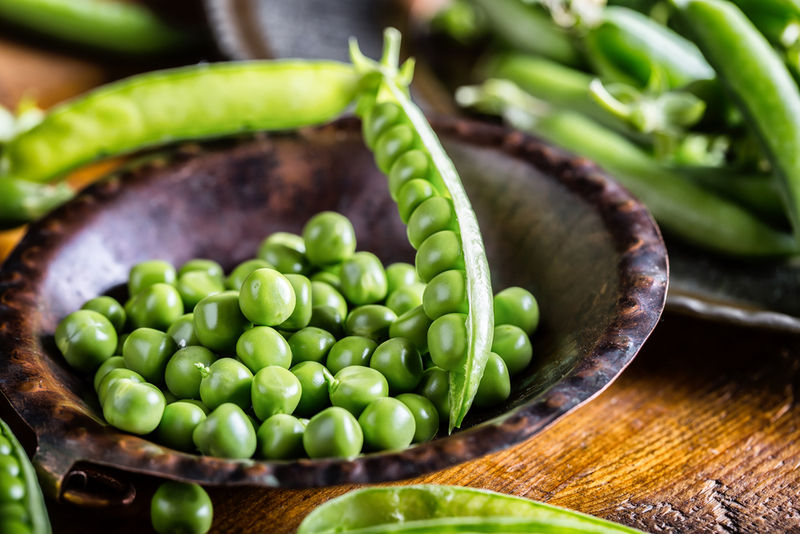 Peas are often one of our staple vegetables on the dinner plate, partly because they are a popular frozen vegetable option. Frozen peas often more tender as they are picked and frozen quickly so the natural sugar doesn’t have time to turn into starch. Peas are high in vitamin B1 which is good for the heart, and supports natural energy and the nervous system, plus they’re a good source of vitamin C.
The versatility of peas means they can be eaten in many different dishes; with pasta, in stir fries and risottos, in soups and as part of a Spanish tortilla, just as a few suggestions! Hailed as a luxury food, oysters will always make a statement on any plate! October is actually one of the best months to eat them in season as they are spawning during the summer months and their taste and texture changes. 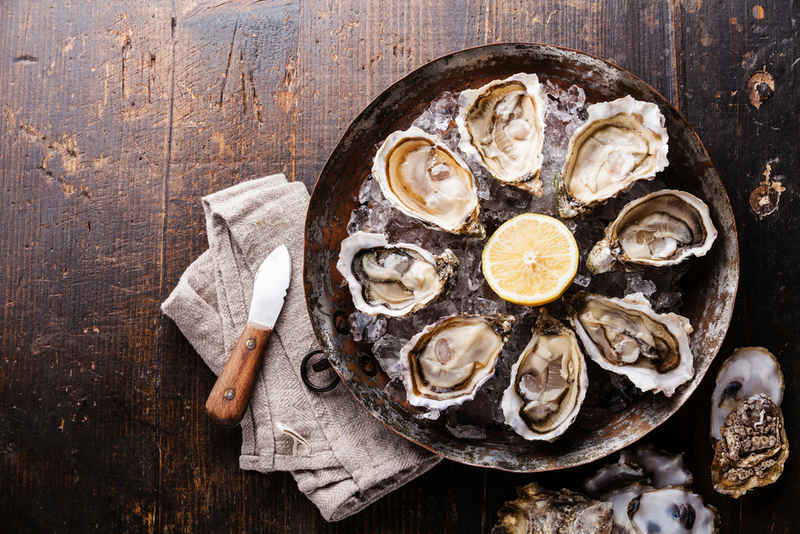 One of the best nutritional facts about oysters is that they’re loaded with the mineral zinc which is needed for healthy reproduction and fertility; this is the very reason oysters are known as aphrodisiacs! It can be quite challenging to shuck an oyster yourself, so it’s worth buying them already prepared by an expert fishmonger. However, they need to be eaten fairly soon afterwards. Some people like them plain, others squeeze some lemon juice over them, or they work really well with a little tabasco to spice things up a bit! Not just for Christmas, goose is coming into season right now. Whilst it does contain more fat than chicken or turkey, at 22 grams per 100 grams, goose has an excellent nutrient profile with greater levels of immune boosting iron and vitamin B6. Plus it contains the same amount of protein as turkey, which is even more than duck or chicken. 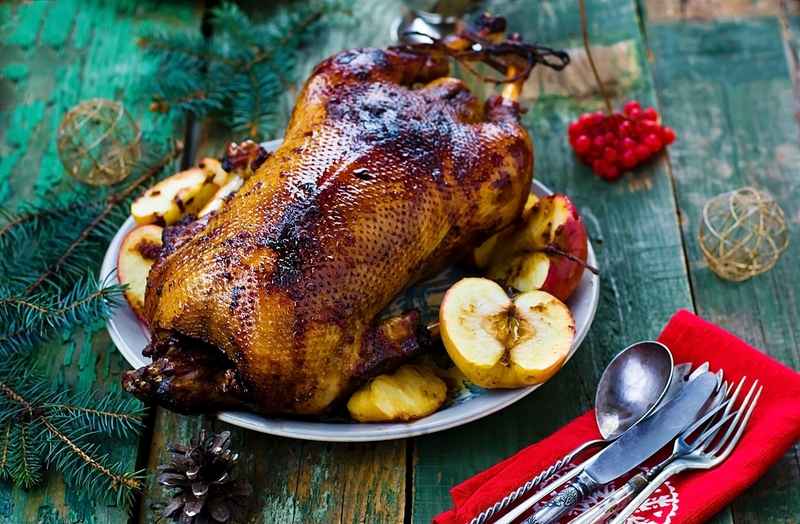 A goose will produce fat when it’s roasting and some people cook it on an open tray and catch the fat as it drains off the bird. 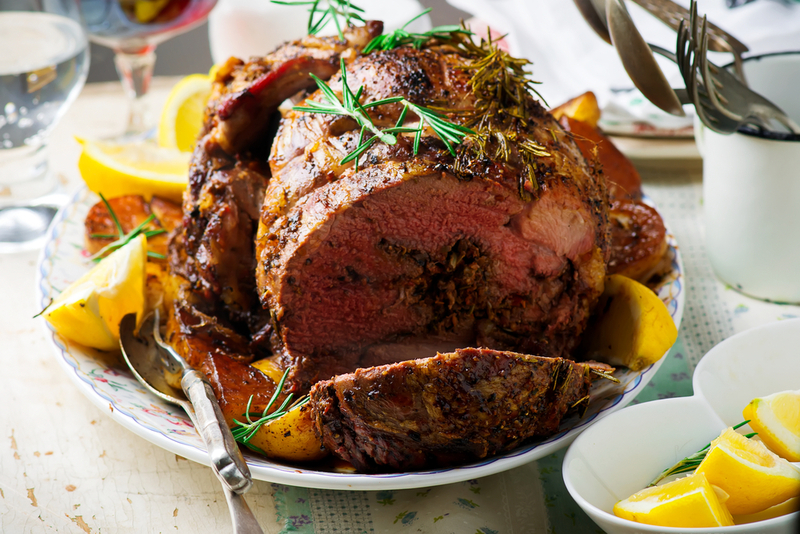 Goose fat helps create the best roasted potatoes so if you cook a goose during October, the collected fat will still be great for cooking your roasties on Christmas Day! 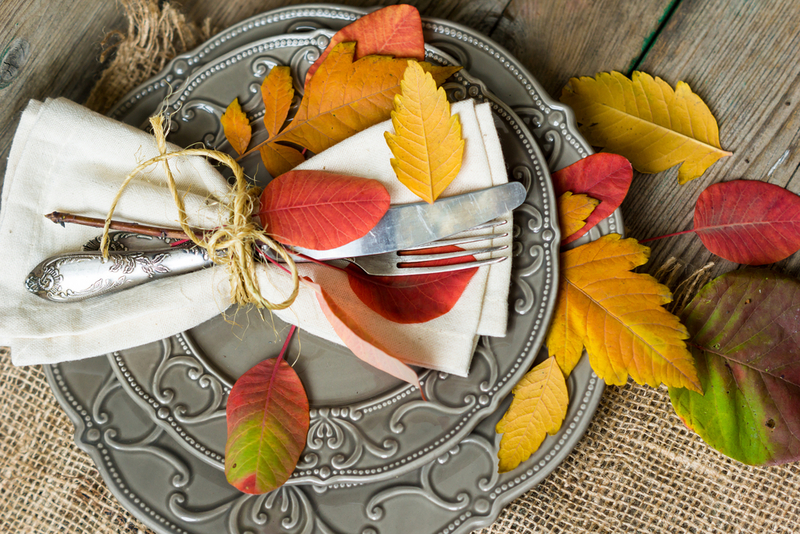 So celebrate these healthy and delicious October foods and enjoy seasonal eating this autumn. 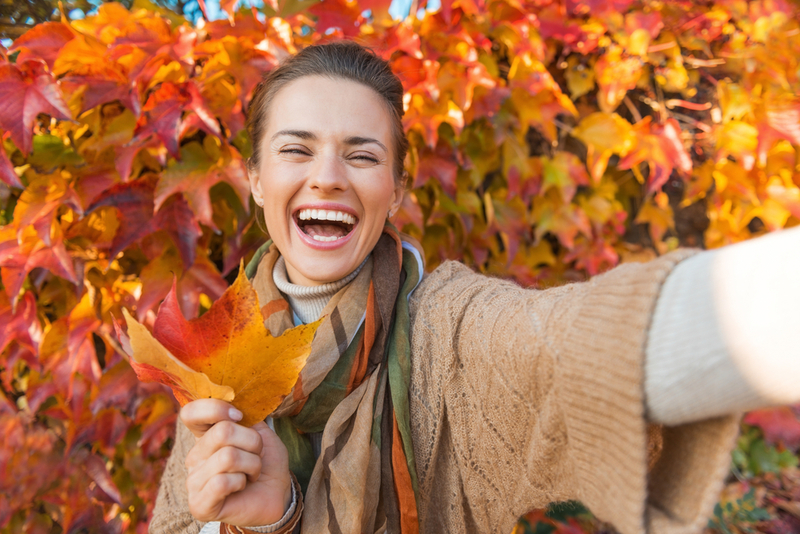 The importance of Vitamin D this autumn: are you getting enough? It’s known as the ‘sunshine vitamin’ because vitamin D is primarily produced on the skin in sunlight. As it’s no secret that we’re coming to the end of summer, it’s more important than ever that we get plenty of vitamin D. It’s essential for healthy bones and teeth, supports the immune system and is also important in regulating our mood. So how can we chase the sunshine this autumn? Clinical Nutritionist, Suzie Sawyer, shares her ideas on getting enough vitamin D through the coming months. The most active form of vitamin D (vitamin D3) is made on the skin in the presence of sunshine. What actually happens is that when ultra violet rays reach the skin, a form of vitamin D is converted into the active form known as cholecalciferol. This is then transported to the liver and kidneys which produce an even more potent form. This is great if there’s sufficient sunshine! However, it’s a well-established fact that there’s widespread deficiency of vitamin D within populations living in the Northern Hemisphere (for example, the UK), as we get little sunlight during the autumn and winter months. The body can store vitamin D in the liver, but it’s often insufficient to last through the winter months, and that’s assuming there’s was enough to be stored in the first place. Vitamin D is available in a few animal-based foods as D3 but in plant foods the form Vitamin D2 is harder for the body to convert into the active form. However, it’s still a very viable nutrient, and shouldn’t be overlooked. 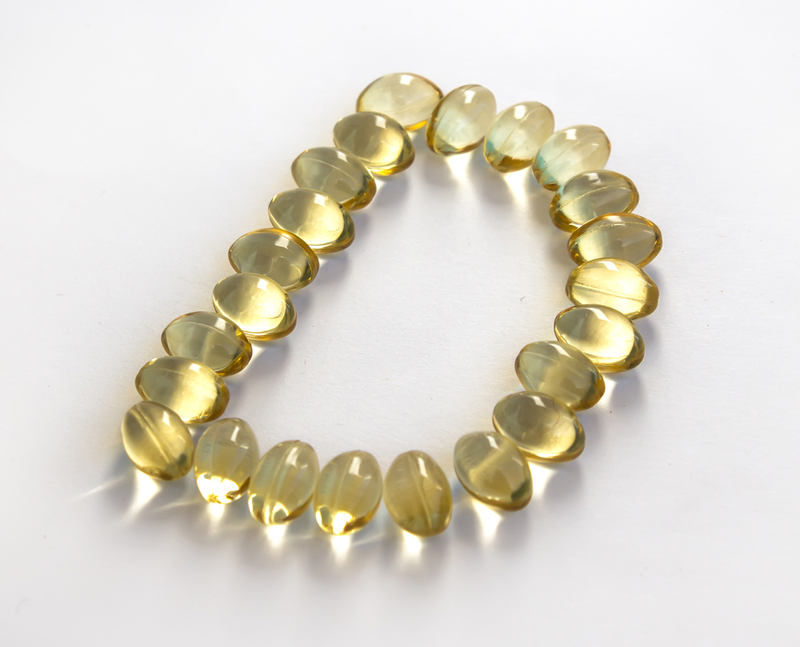 Vitamin D is super-powerful and has far-reaching health benefits. What we know for certain though is that vitamin D is needed for healthy bones and teeth. This is mainly because it’s essential to metabolise the minerals calcium and phosphorus. It also plays a key role in keeping the immune system on track and is thought to help ease low mood. More research is emerging all the time on this topic. 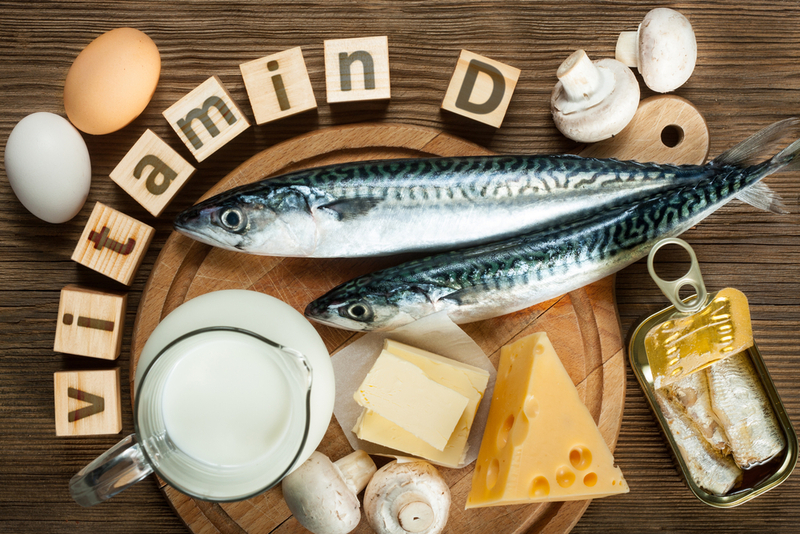 Vitamin D is found in a number of foods and even though it still has to be converted to its most active form, food sources make a valuable contribution to levels needed by the body. Salmon, for example, is one of the best sources of vitamin D3. However, wild salmon contains more than farmed salmon mainly because of the food the fish have consumed. 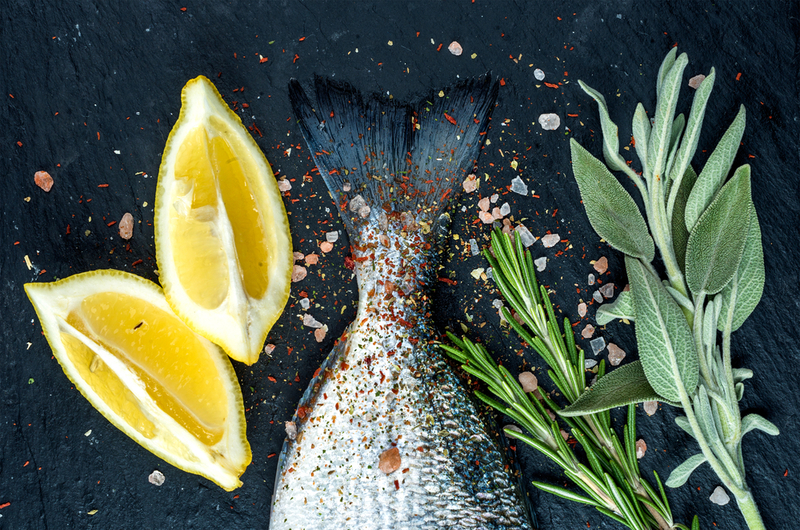 Other oily fish such as mackerel and sardines are great (tinned sardines are particularly good if you eat the small bones), plus tuna, egg yolks, oysters and shrimp. However, if you’re vegetarian, the only plant source of vitamin D is mushrooms. They work just like humans in that they produce vitamin D when exposed to sunlight. Other than that, there are a range of fortified foods to choose from such as cow’s milk, soya milk, orange juice (not all brands will be fortified, so check the label), and some cereals which will also contain vitamin D.
Public Health England issued advice a couple of years ago that everyone should take a daily supplement containing 10 micrograms of vitamin D during the winter months, such was the widespread problem of deficiency. However, this should very much be considered a minimum level as the body generally needs much more. Supplements contain either vitamin D3 or vitamin D2 and they will both help prevent deficiency symptoms, which can include muscle and joint aches and pains, depression, poor immunity and more falls in the elderly. The best advice is to start taking a supplement now but also try to eat more foods or fortified foods containing vitamin D.
So whilst the summer has almost finished for another year, top up those Vitamin D levels through diet and supplementation to make sure you are getting enough of this essential vitamin. 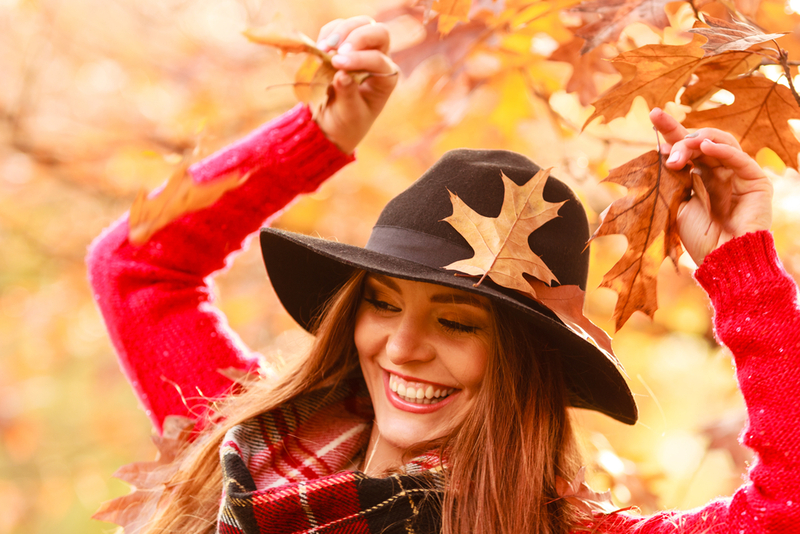 Autumn wellness: is your body fit for winter? As our beautiful UK summer comes to an end, just as night follows day, winter will be upon us before we know it! Sad as it is to feel the cooler days (and nights), it’s also the perfect time to ensure your body is well equipped to prevent any nasty bugs or infections from getting a hold this season. 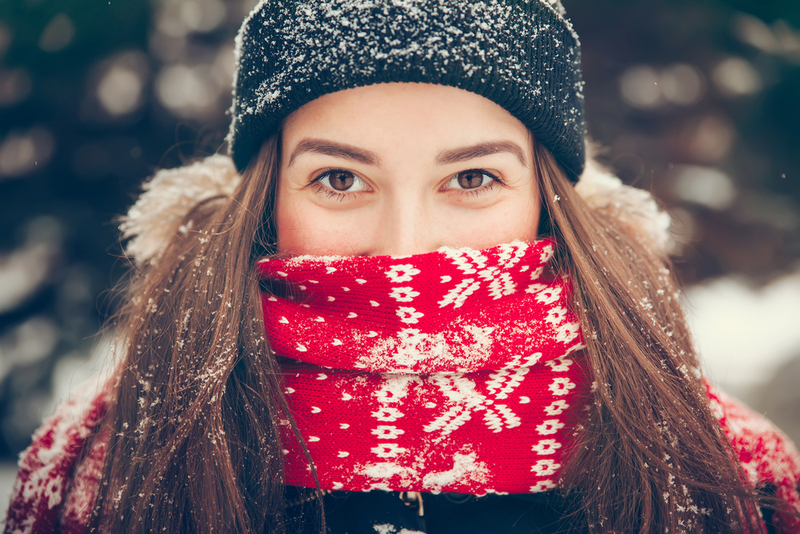 Clinical Nutritionist, Suzie Sawyer, shares her five top tips for winter immunity. Whilst it’s often hard to eat the ‘perfect’ diet every day, the more foods you can eat that help boost your immune system on a daily basis, the better. In fact, your diet is the first port of call when it comes to ‘prepping’ your body for winter. 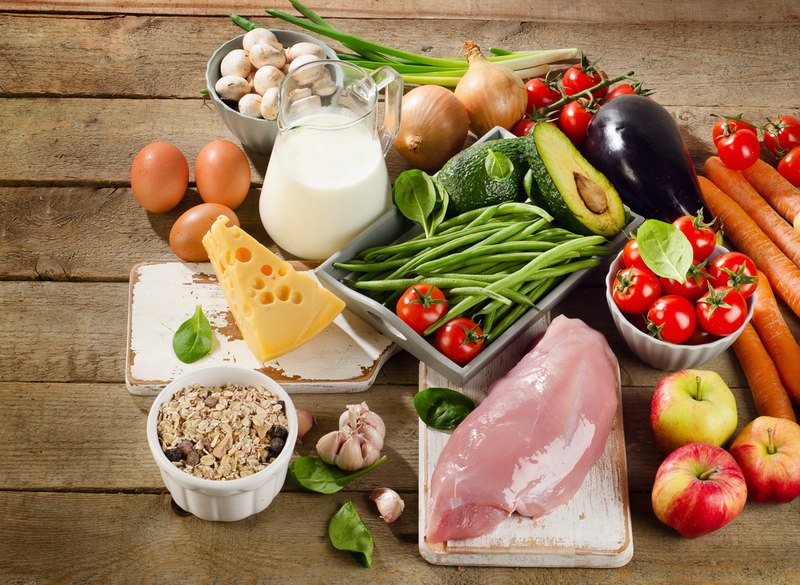 Eating some protein such as fish, chicken, eggs, dairy produce, beans, lentils and wholegrains at every meal is key. The immune system needs these types of foods to produce immunoglobulins – blood proteins that act as disease-fighting antibodies. Plus, many other nutrients such as vitamin C (found in most fruits and vegetables), vitamin E (in wholegrains, nuts, seeds and avocadoes), vitamin A (high in liver, cheese, eggs and sweet potatoes) and zinc (especially rich in pumpkin seeds and lean red meat) are all key immune boosters. So try to keep your diet as varied and colourful as possible to ensure your body gets the spread of nutrients it needs. It is also important to keep sugar to a minimum; try to reduce the amount of refined carbs, alcohol, and fizzy and caffeinated drinks on a daily basis. Sugar in all its forms has an adverse effect on the immune system. There are a wealth of herbs and spices that have strong immune-boosting powers and even anti-viral and antibacterial properties. Plus, they all enhance the flavour of many popular dishes. 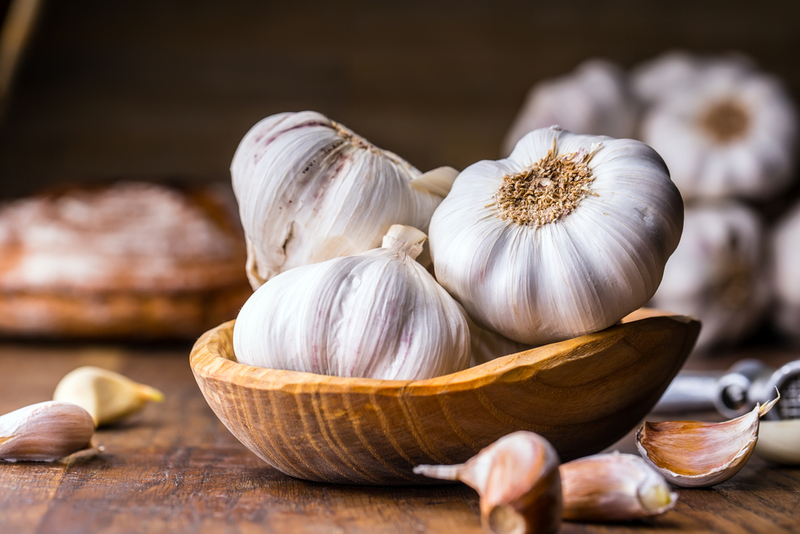 For example, garlic is probably one of the best known infection-fighters and works well with so many different foods; meat, fish, and vegetables – the list is endless. 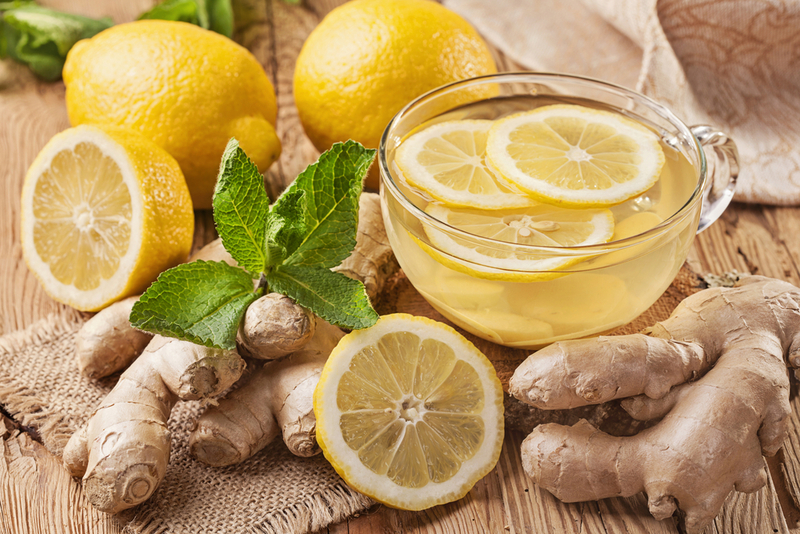 Additionally, ginger is equally beneficial to the immune system. Both herbs can be used in easy stir-fries, for example. The herb thyme is delicious added to casseroles or pasta dishes and is great made into an infusion with boiling water and gargled if you’re unlucky enough to get struck down. Thyme tea is recommended for all types of infections, including earache and sinusitis. 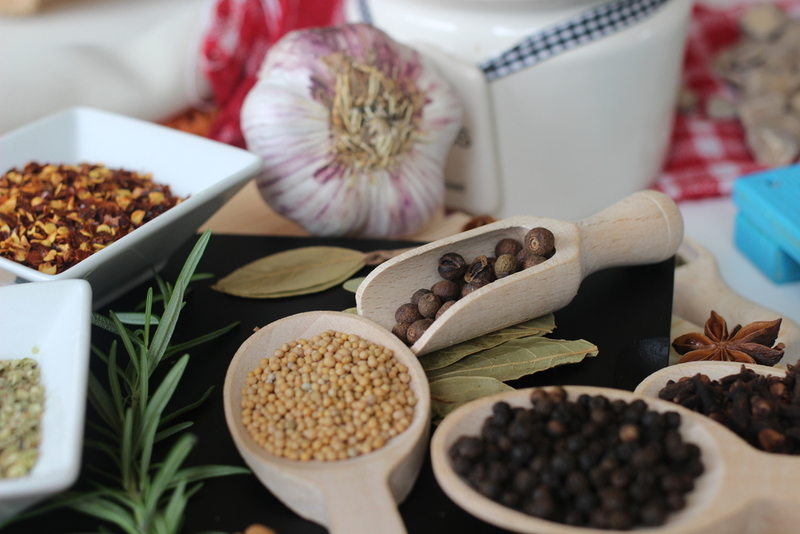 All herbs and spices will have far-reaching health benefits, so add as many as possible to your dishes! A healthy mind is equally important for a strong immune system and can reduce your likelihood of getting struck down with a cold or flu. If you’re suffering from low mood, then you’re more likely to suffer from infections. Sharing problems with friends or family can often help. However, it may also be helpful to seek out some complementary therapies such as massage, aromatherapy and acupuncture to help lift a low mood. Equally, self-help strategies can be very powerful. 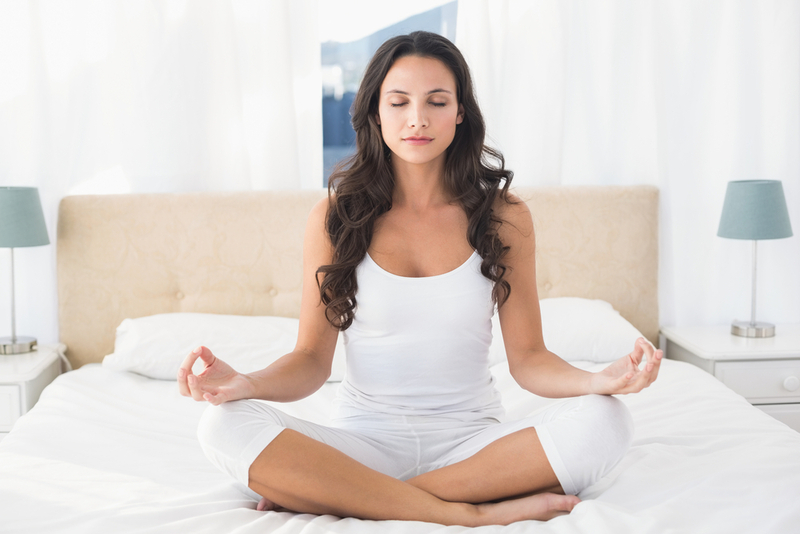 Daily meditation, for example, is very effective for many reasons and may really help alleviate stress. It takes some practice (and obviously a little time, initially), but it is well worth persevering. However, if low mood persists or there are emotional issues in your life, then it may be helpful to seek the services of a qualified counsellor. Often talking to someone who is properly trained to deal with problems can be very beneficial. 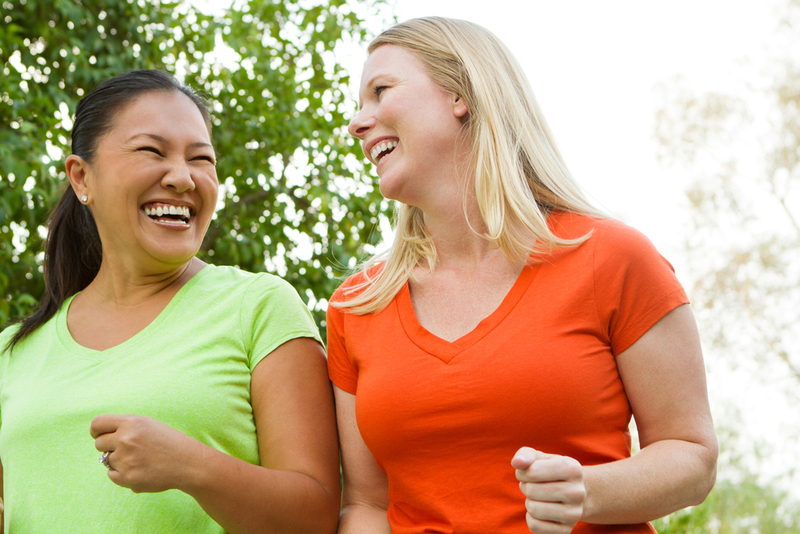 There are so many positive reasons to get moving! Not only will it support the immune system by boosting infection-fighting white blood cells, it will help relieve stress, release mood-enhancing endorphins and better nourish your body generally by enhancing oxygen to every part of your body. You may not want to spend hours in the gym, which is fine. However, any form of exercise carried out four or five times a week, for around 30 minutes, is going to be hugely beneficial to the immune system. And don’t forget that a brisk walk every day certainly counts as great exercise. If you haven’t got a dog to walk, maybe ‘borrow’ one from a friend to help with motivation! If your diet isn’t always as nutrient-dense as you’d like or you’re under a lot of stress, this is going to put a strain on the immune system. It makes sense, therefore, to take a good quality daily multivitamin to help plug any nutrient gaps and to ensure you’re definitely getting the sufficient vitamins and minerals associated with a strong immune system. 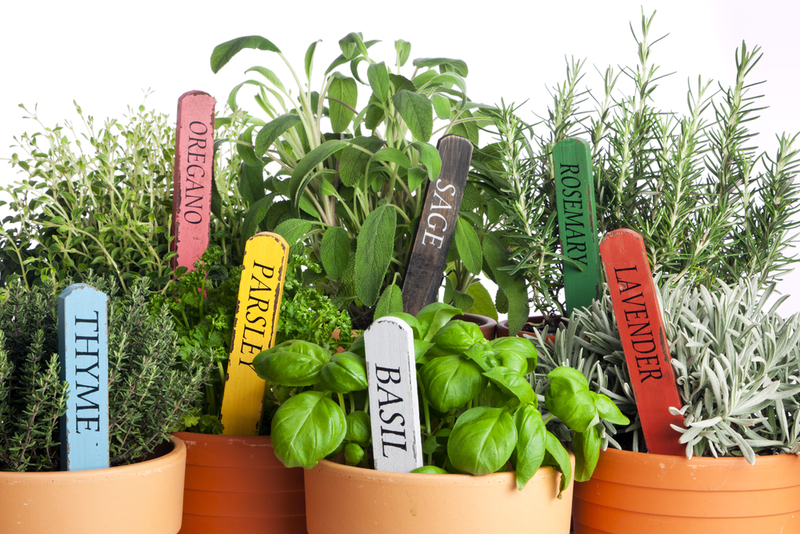 There are certain herbs, licensed as herbal remedies, which are great to take as a preventative measure. 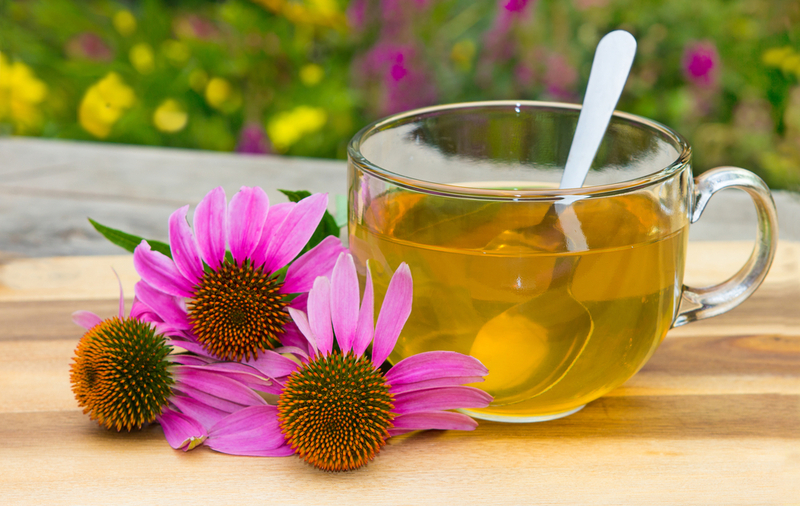 Echinacea is a popular herb, which has been used for many years to help prevent and treat colds and flu. It’s worth starting it now for a few weeks, since it increases white blood cell production. Equally, the herb pelargonium is anti-viral and antibacterial and can be taken at the very first sign of a cold, if you’re unlucky enough to get caught! Both herbs should be a medicine cupboard staple for the winter months. So with a few simple tweaks to your diet and lifestyle, you can have a bug-free autumn and winter! One of the signs that summer is truly here is the smell of barbecued food in the air. As a nation, we love our barbeques and what’s not to like? 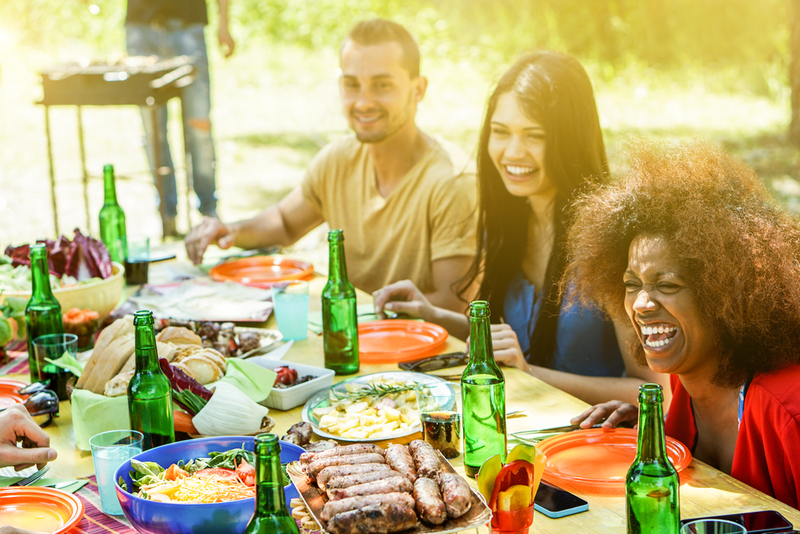 Dining outdoors with friends and family and soaking up some rays is what summer’s all about. 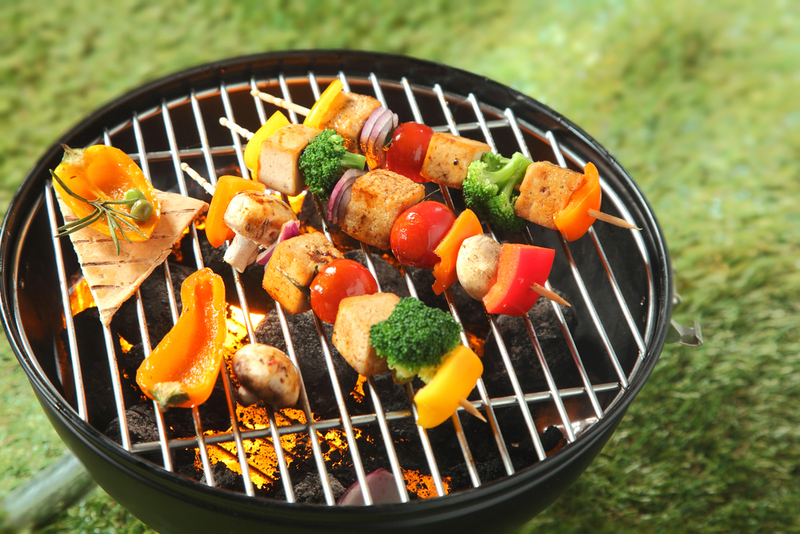 Clinical Nutritionist, Suzie Sawyer, shares her top tips on what’s hot and what’s not on the Barbie! Barbequed food has become much more sophisticated in recent times. However, many people still revert to barbeque ‘staples’, such as burgers, without giving it too much thought. Clearly, they have a place on the barbeque table but whole fish, (trout as a great example) is totally delicious cooked in this way. Gutted trout can be stuffed with coriander, lemongrass, garlic and ginger and wrapped in foil or even newspaper and then cooked at a low heat over the barbeque. Trout are high in healthy omega-3 fats and all herbs deliver some wonderful health benefits. Garlic, for example, is great for the immune system and also helps to feed the beneficial bacteria in the digestive tract. Gas barbeques were once much-maligned! Whatever happened to the traditional way of cooking barbequed food? However, over time people have realised the many benefits of gas. Most importantly, cooking temperature can be much better controlled. One of the problems with barbequed food is that flames burn the outside of the food before the inside is properly cooked. This, of course is a real problem when cooking chicken and many people have fallen foul to food poisoning for this very reason. In terms of flavour, you’ll still get that wonderful barbequed-tasting food but it will be cooked evenly throughout. Once you’ve invested in a gas barbeque, there’ll last for years and you’ll find yourself cooking everything on it – even the Sunday roast! 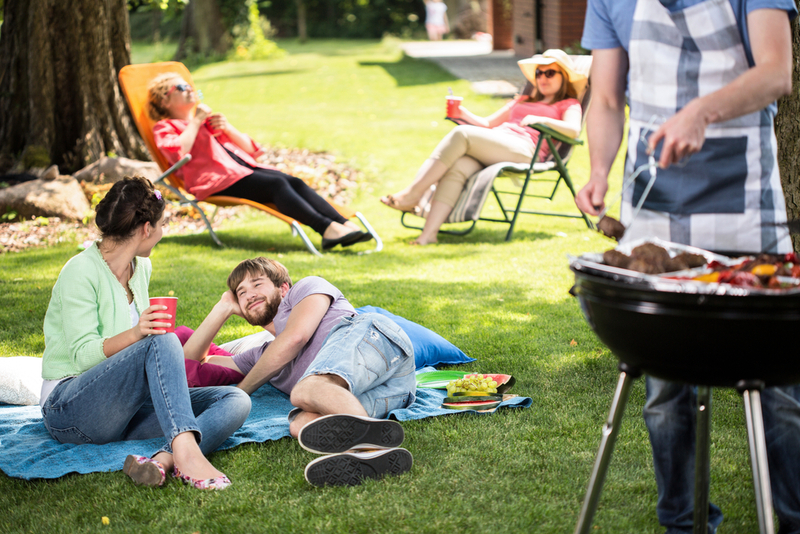 On the subject of cooking food thoroughly, it’s no secret that many people suffer from an upset tummy following a barbecue. Obviously, this can be caused by improperly cooked food, but imbalanced gut bacteria can also be a culprit. The digestive tract naturally contains billions of bacteria – some good, some bad. When there is a prevalence of bad bacteria it can cause all sorts of digestive issues, such as constipation, diarrhoea, bloating and wind. However, certain foods really encourage growth of good bacteria, many of which are perfect for the barbeque. For example, tofu is a fermented food which feeds the healthy bacteria in the gut but can also be deliciously tasty on the barbecue! Tofu needs some strong flavours alongside it, so how about tofu skewers using tofu you’ve previously marinated? Think spring onions, ginger, garlic, soy sauce, chillies and a little brown sugar mixed in olive oil. Healthy and delicious! Obviously, you’re going to be doing this on the barbecue! 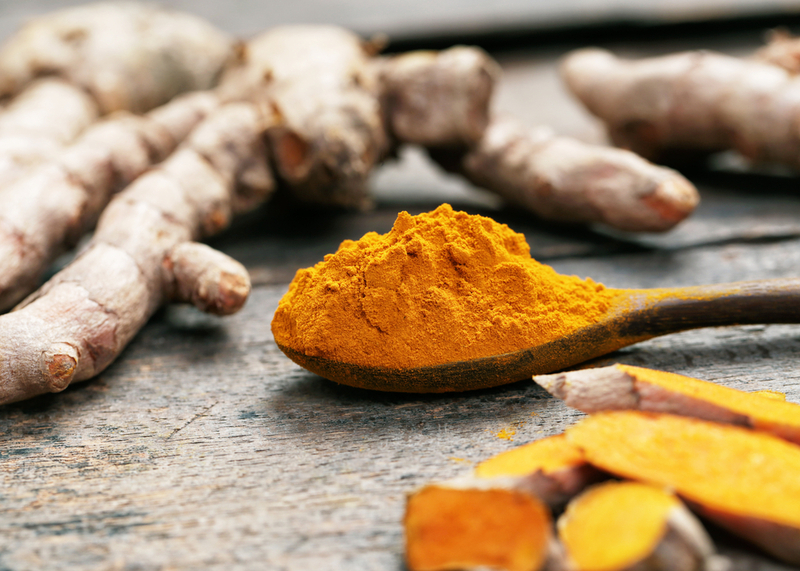 However, why not add the healthy warming spice turmeric to your barbecue feast? Turmeric is great added to marinades. For example, chicken drumsticks which are marinated with garlic, coconut milk, fish sauce, turmeric and curry powder make a fabulous barbecued Thai chicken dish. However, the best reason for using plenty of turmeric in your barbecue fest is because it can really help alleviate stomach bloating – a common problem after a barbeque. Part of the fun of having a barbeque is to enjoy the summer weather! It’s really important to top up on vitamin D, our sunshine vitamin, during the summer months. Vitamin D is also stored in the body; whilst this won’t be sufficient to get us through the winter months, it’s certainly beneficial during the summer particularly for the bones and immune system. Around 15 minutes exposure to the sun without sun cream is recommended. This is not long enough to cause any harm, but just long enough to do some real good. People are often reticent of putting on a high-strength sun cream fearing they won’t tan at all! Unfortunately, many people tend to stay out in the sun for too long, forgetting the strength of its rays at this time of year. However, if you always use a minimum SPF 30 on the body, it will maintain a healthy glow rather than a deep and skin-damaging tan. Plus always wear a hat and protect your eyes with sun glasses. 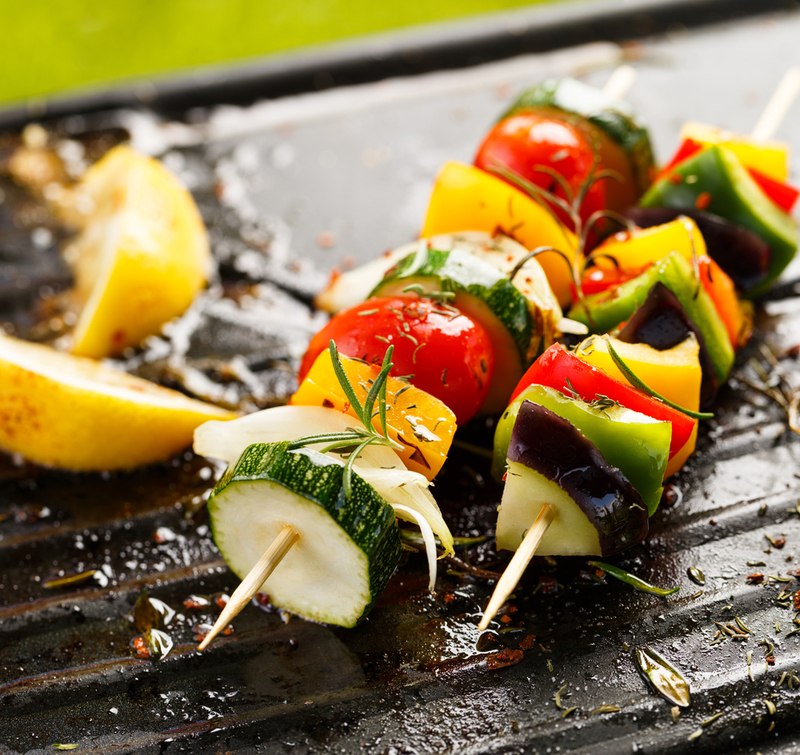 So make the most of the summer right now and enjoy deliciously tasty and healthy barbecues this season. As the new season arrives, a change in temperature also signals a change in what to eat. It makes great health sense to eat with the seasons, as nature intended. However, some of our traditional summer foods can still be eaten, in slightly different ways, as some seasonal ones are introduced. 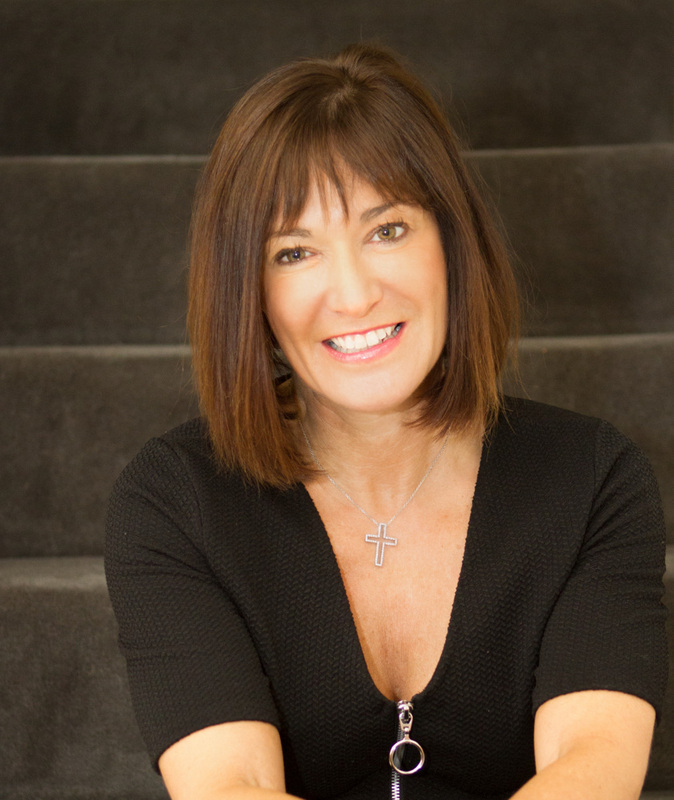 Clinical Nutritionist Suzie Sawyer gives some top tips on what we should be eating this autumn! As the days get a little colder and darker we may naturally reach for traditionally filling foods such as macaroni cheese or other heavy pasta dishes. Unfortunately these are notoriously difficult for the digestive system to cope with and can leave you feeling bloated and lacking in energy. Instead, choose foods that are packed with nutrients and loaded with antioxidants. Prevention is always better than cure and if you can keep your immune system in good shape now, hopefully you’ll dodge the autumn/winter bugs! 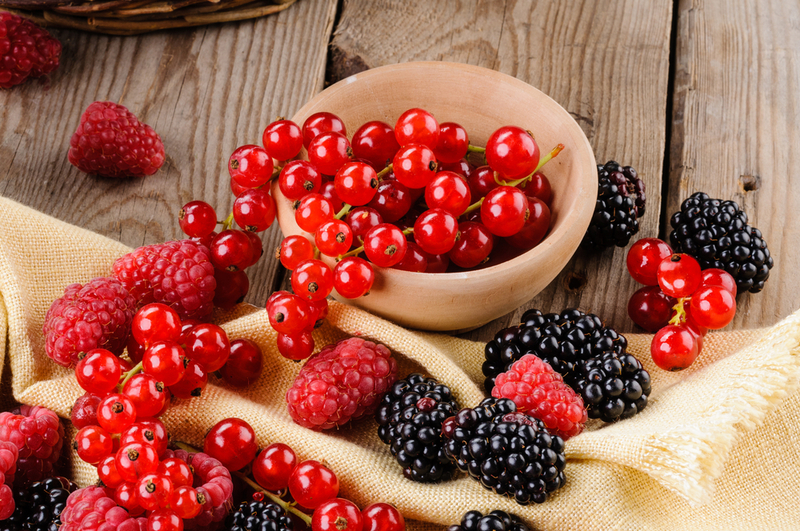 We tend to think of berries as being summer fruits. However, they’re always available and whilst we may eat them just as they are or with a little crème fraiche in the summer, they’re also great in warming recipes. Think warm blackberry coulis, apple and blackberry crumble, braised red cabbage with blackberries or raspberry muffins. Whilst some of the vitamin C will be lost during cooking, these dark berry fruits are packed full of anthocyanins – powerful plant compounds that provide protective antioxidants to support the immune system as the nasty bug season starts! As the weather becomes a little chilly, the body craves more warming foods. Warming herbs and spices that are perfect for this time of year include black pepper, cayenne pepper, cinnamon, garlic, ginger and horseradish. All are really easy to include in everyday dishes. Porridge is a great warming breakfast and works perfectly topped with some cinnamon. Not only will your body be warmed and ready for the day, the oats will keep you feeling fuller for longer and this effect is also enhanced due to the blood sugar balancing effect of the cinnamon. Ginger is also versatile in many recipes, particularly stir fries and Thai dishes, and is just as effective used in a tea. It has thermogenic properties which can keep you warm and also speeds up the metabolism so you’ll burn more calories even whilst sitting at your desk! And of course the traditional Sunday roast is perfect right now; roast beef with hot horseradish sauce is definitely an autumn favourite! Many delicious vegetables come into season as we move into the autumn months. Pumpkins, of course, are very seasonal with the approach of Halloween. But don’t just use them as lanterns; pumpkins are packed with nutritional wonders! They contain high levels of beta-carotene which the body turns into vitamin A, which is essential for the immune system and also for night vision (perfect for the darker evenings!) Curried pumpkin soup is a real winner. You’ve got all the nutritional benefits of pumpkin but you can also include many warming spices such as ginger, chilli, cayenne and cumin. Swede is great as a vegetable side dish mashed with black pepper or can equally be used in stews. Celeriac often gets forgotten about but makes a great vegetable side dish, and courgettes add colour and taste to any plate. Why not roast a large tray of root vegetables for a warming supper dish; carrots, beetroot, artichokes, onions and parsnips all work well together and complement roasted cod with garlic perfectly! 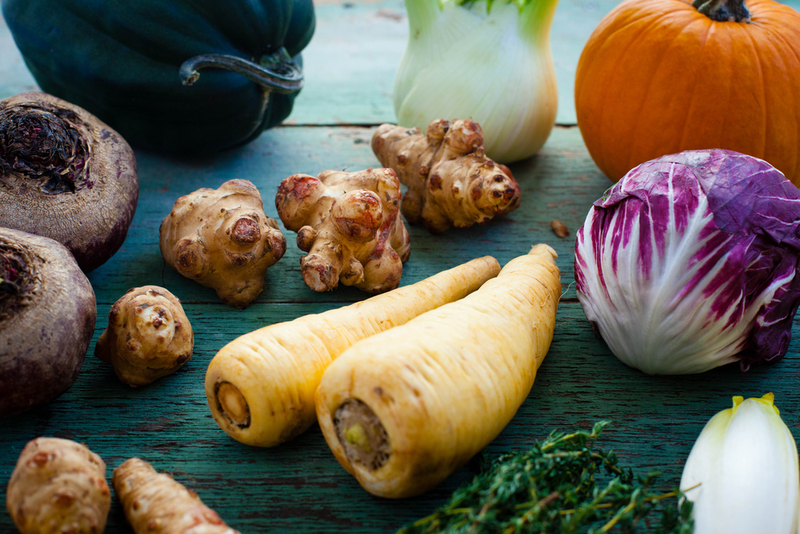 So enjoy experimenting with more warming foods this autumn and embrace the seasonal produce!